There were a few surprises with the snowfall totals but overall our snowfall forecast matched up pretty well. The main surprise was the near instantaneous switch to snowfall over the Northern part of the Palmer Divide (think Parker, Lone Tree, Highlands Ranch) and higher snowfall totals than forecast in those areas. 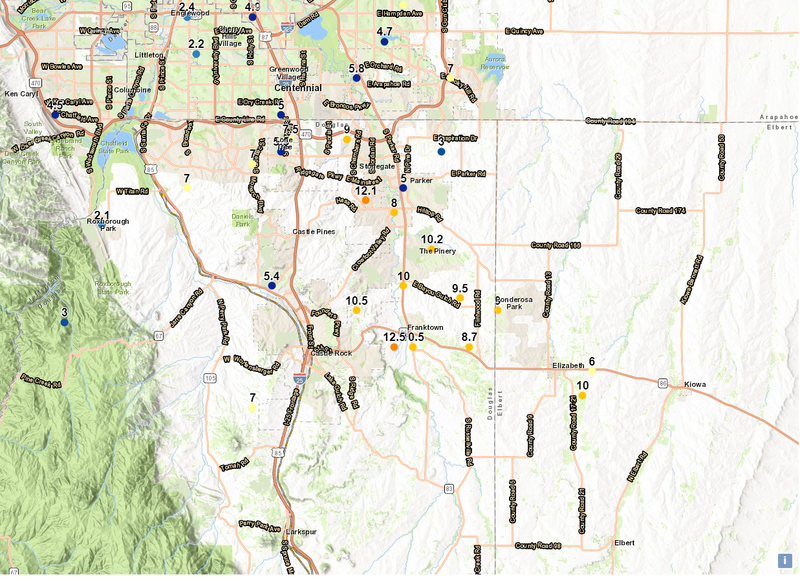 Areas in and around Castle Rock and eastward towards the higher elevations of the Palmer Divide performed as forecast as well. I don’t like to do this too often mainly because we believe on forecasting impacts more than actual snowfall totals (who cares whether you get 12 inches or 15 inches if driving is miserable, roads are bad and people are getting stuck), but every once and awhile i find it useful for evaluation. The higher terrain and the fact that the storm is set to move Eastward rather quickly once it gets organized puts the bulls-eye right along eastern Douglas and most of Elbert County. For that reason, we expect higher snowfall totals over this region. No doubt about it, our forecast placed a bullseye right on the Palmer Divide and it does look like that panned out quite nicely. Hopefully everyone made it in safely and was ready for this storm and of course the moisture is invaluable at this point from this storm. Rest of This Week — More Snow or Spring Arrives? As you can tell from the forecast graphic above, this storm really was our best shot at moisture for some time. Luckily it delivered for us, sadly not everyone was so lucky. Expect temperatures to warm with each day and expect the end of the week to feature above average temperatures and gusty winds. Keep in mind, a string of warm and windy days like we’ve seen can very quickly dry the conditions out again unless we see more storms like this regularly. We see a few small chances for bits of precipitation in the next 7-10 days, none of those storms look impressive as of now but there’s always a chance that could change. We’ll keep an eye out and be sure to pass on any updates! John R. Braddock is a NOAA/NWS Certified Storm Chaser and Amateur Meteorologist living in Castle Rock, Colorado. A graduate of Colorado State University with a Bachelor's in Computer Science and a Colorado native, he specializes in short range forecasting, severe weather and mountain weather dynamics. Special thanks to Altitude SEO for being supportive of our weather forecasts and posts! 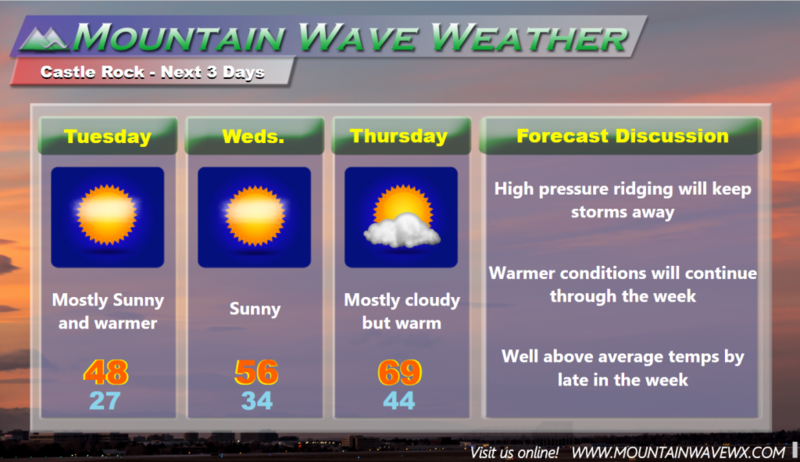 © 2019 Mountain Wave Weather.